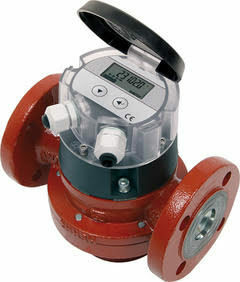 MR Spares is preferred Aquametro reseller, the world’s most frequently used oil consumption meter. The following companies sell Aquametro oil meter under their own brand names: Auramarine, Alfa Laval Aalborg, Mar-In Controls Holland, Kupke & Wolf, Elster Instruments, Gea Westfalia and Saacke. Aalborg, Saacke, Hamworthy Combustion Division, Wanson Boiler, Clayton Industries. Hydralift, Liebherr, MacGregor, Danish Crane Building, Friedrich Kocks GmbH. Alfa Laval, Westfalia, Mitsubishi, Blohm + Voss, DVZ-Services GmbH, RWO, Sasakura Engineering, Jowa. Hamworthy, Westfalia, Mitsubishi, Blohm + Voss, DVZ-Services GmbH, RWO, Sasakura Engineering Jowa. Alfa Laval, Atlas Denmark, Aquamar, Hamworthy, DongHwa Entec, Sasakura Engineering, IWTM A/S. Atlas Incinerators, TeamTec, Green & Clean.